S5E19 "Hammer of the Gods"
A mysterious motel in the middle of nowhere filled with an unusual bunch of "people" is the setting for a high end summit between the Gods of the old world and the brothers are the guest of honour. Cracking episode bringing together various faiths and religions, Rekha Sharma is excellent as Kali. S5E20 "The Devil You Know"
truly cultivated to be the vessel. 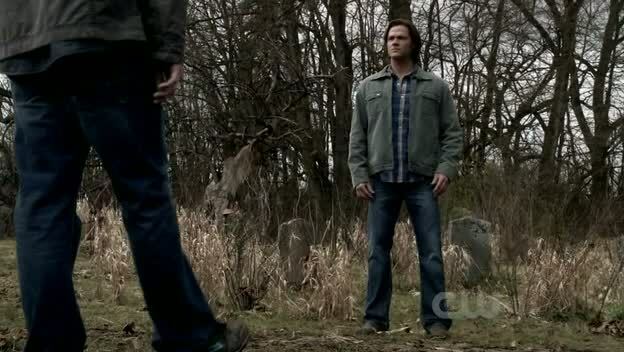 S5E21 "Two Minutes to Midnight"
Pestilence (Matt Frewer) does a number of the boys but it all turns out ok and With pretty much nothing to lose Bobby and Crowley do deal which allows them to track and locate Death who quite surprisingly is more than willing to help Dean to kill Satan. Leah Gibson plays a tasty demon nurse:) Excellent episode, the writers are really on a role. 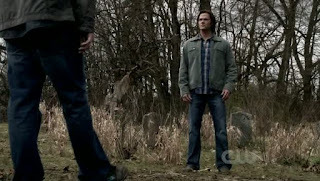 With options being lost left right and centre a final desperate role of the dice has Sam letting Satan use his body and it fails but Dean doesn't give up and gatecrashes the final confrontation between Lucifer and Michael with serious consequences. The voiceover and prologue by Chuck is awesome and a superb finale. Season 5 on second viewing doesn't quite hold up, it has some excellent episodes of that there is no doubt but there seems to be something missing perhaps the less arc based eps tend to look weaker when faced with uber arc stories.